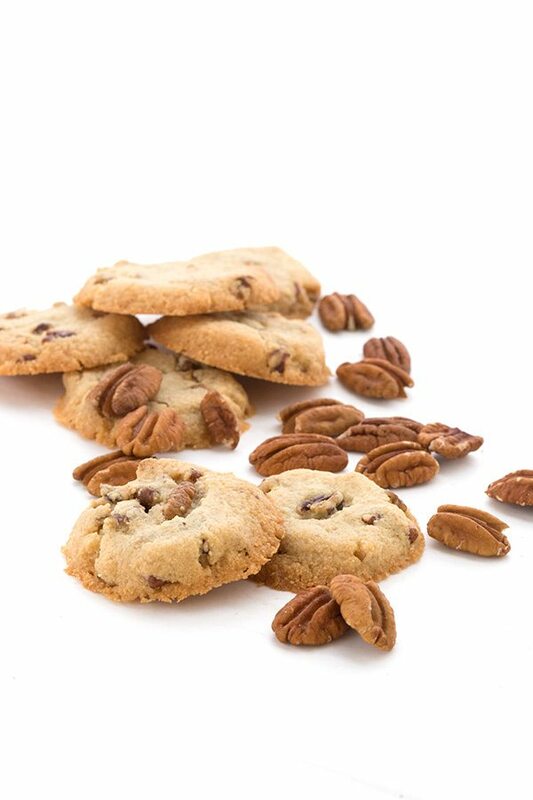 These easy low carb Butter Pecan Cookies are so good, you will fall head over heals in love. 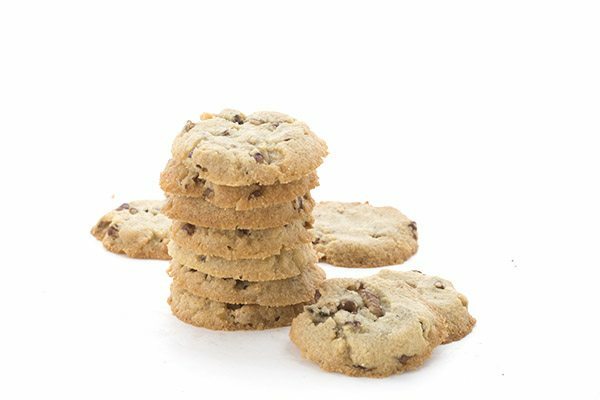 It’s the perfect keto cookie recipe to make any time of year. When it comes to food and how good it tastes, looks can be deceiving. That’s how it goes with anything, I suppose. 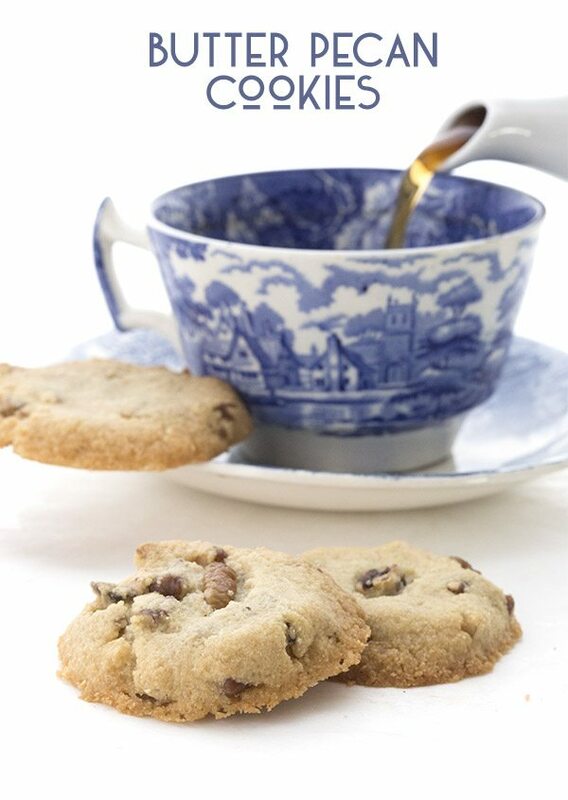 Some of my favorite cookies are the simplest ones, like shortbread. Traditional shortbread is just the marriage of flour, butter, and sugar. Keto shortbread is really just the marriage of almond flour, butter, and sweetener. And it’s just as good as the shortbread I remember from my childhood. It has the right combination of crispy but slightly sandy texture and delicious buttery sweetness. Really, it’s a formula that can’t be improved upon. These keto cookies pretty much nail that same flavor and texture, with the added sweetness of toasted pecans!! These easy low carb Butter Pecan Cookies are so good, you will fall in love. It's the perfect keto cookie recipe to make your holidays delicious! In a large bowl, beat the butter and sweetener together until lightened and fluffy, about 2 minutes. Beat in the almond flour, coconut flour, vanilla extract, and salt until well combined. Stir in the chopped pecans. Roll the dough into 1-inch balls and place a few inches apart on the prepared baking sheets. Flatten slightly with the palm of your hand. Bake 5 minutes then remove from the oven and use a flat-bottomed glass to flatten again to about ¼ inch thick. Return to the oven and bake another 10 to 12 minutes, until the edges are golden brown. Remove and let cool completely. Store on the counter for 4 days and in the refrigerator after that.